Saima Noor is a famous Pakistani model and actress who starred in Punjabi and Urdu films. She has acted over 200 films with her enthusiastic and energetic mind. 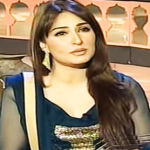 The popular lady is considered as the queen of the Pakistan showbiz industry. 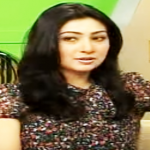 Saima has got huge fame and honor from her fans and at the same time Pak media industry. The talented actress is known by several names to her near and dears like Sameera Khan and Saima Khan. Saima Noor was born on May 5, 1967, in Multan, Pakistan to a Muslim family. She received early education in the born city. From her early childhood, Saima was a passionate fan of Pakistan showbiz industry. The renowned actress made her film debut with ‘Griban’ with a supporting role. Nagina Khanum introduced her in the film industry in 1987. In 1990, she appeared in her second film ‘Khatarnaak’ directed by Akram Khan and she was cast as the leading character in it. Next, the actress acted in Syed Noor’s movie ‘Choorian’ which brought popularity for her in the household over night so, she did not need to look back. Saima Noor came to the Lollywood in such a time when one of the top actresses of Pakistan Anjuman dominated the industry. 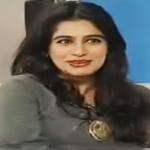 At that time, Anjuman was very busy so producers needed her replacement and Saima came in the shape of her alternative. Since she starred in over two hundred films. The glamorous actress presented to her fans the movie ‘Majajan’, which got commercial hit in 2009. Next year, she gave another hit movie ‘Wohti Leke Jani Hai’ directed by her husband, Syed Noor. Then in 2013, Saima appeared in Shahzad Rafique’s film ‘Ishq Khuda’ alongside Shaan Shahid. Recently she will be appearing in Shahzad Rafique’s upcoming biographical film ‘Salute’ in 2016. Saima Noor has also acted in some popular drama serials. She first appeared in ‘Piya Naam Ka Diya’ which was aired on Pakistani popular TV Channel ‘Geo TV’. Her other serials are ‘Kaneez’, ‘Rang Laaga’ and ‘Ye Mera Pagaipan Hai’ those also got popularity in drama industry. Saima Noor secretly married Syed Noor, famous filmmaker of Pakistan showbiz industry with whom she romantically linked in the late 90s. On May 1, 2007, Saima with a press conference informed that she married Syed Noor in July 2005.
kam karna hai mujhy plz help me plz. pls give me chance of acting in Tv drama or film. My mob no is 03217805276. Pls soon call me.